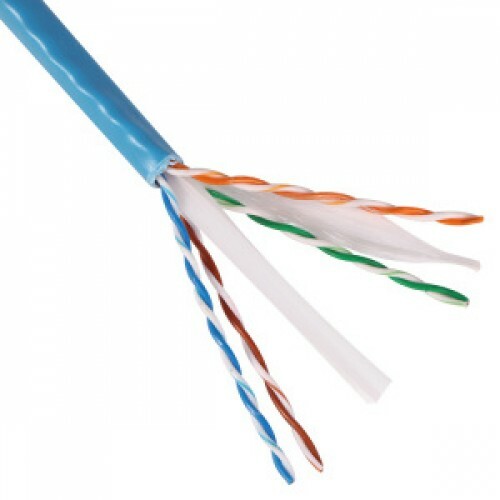 Category 6 cable shall meet ANSI/TIA-568-C.2 Category 6 and ISO 11801 Class E channel standards. The conductors shall be 23 AWG construction with FEP/polyolefin (CMP) or polyolefin (CMR) insulation.The copper conductors shall be twisted in pairs and covered by a low smoke, flame-retardant (CMP) PVC jacket or a flame-retardant (CMR) PVC jacket. Third party tested: Cable has been tested as part of the Category 6 UTP Copper Cabling System by an independent laboratory and complies with the electrical channel requirements of the following standard: ANSI/TIA-568-C.2 Category 6. Descending length cable markings: Easy identification of remaining cable reduces installation time and cable scrap.